The CENTURION Industrial RSO range has been designed to safely automate extremely heavy roller-shutter doors such as entrances to factories and loading bays. Each model is equipped with a heavy-duty electric motor that, coupled with a powerful gearbox, delivers maximum lifting force. In addition, a convenient manual override facility comprising a five metre chain ensures that the door can be operated even in the event of a power failure. A three-button wall pendant allows the operator to not only open and close the door but also safely stop it should an emergency situation arise. The RSO5 is a feature-rich roller-shutter operator equipped with a multi-faceted interface board for connecting ancilliary and safety devices. A revolutionary dual brake system ensures that the RSO5 stops shutters safely and reliably all of the time. What is strength without reliability? In the unlikely event that something goes wrong, the RSO is committed to keeping you in business, with not one but two modes of manual operation. All RSO models come standard with a five metre hand chain, ensuring that the shutter can be easily operated even from ground level, as well as a manual-release pin inside the gearbox that can override the mechanical brake. The strength of a good industrial operator lies not in its complexity, but in its…well…strength. The RSO range of operators is exceptionally easy to set up, and commissioning can be done in mere minutes thanks to a user-friendly cam system. 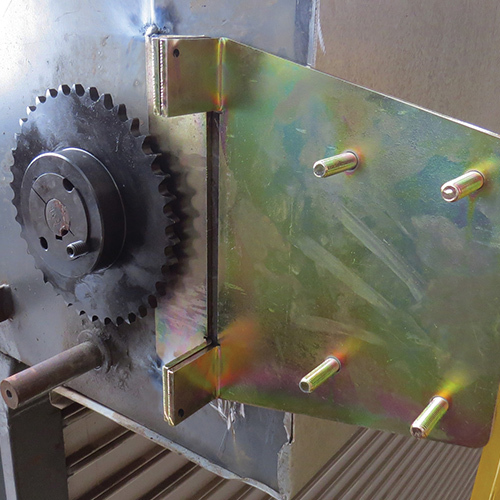 The CENTURION Industrial RSO range has been designed to safely automate extremely heavy roller-shutter doors such as entrances to factories and loading bays. Each model is equipped with a heavy-duty electric motor that, coupled with a powerful gearbox, delivers maximum lifting force. In addition, a convenient manual override facility comprising a 5m chain ensures that the door can be operated even in the event of a power failure. 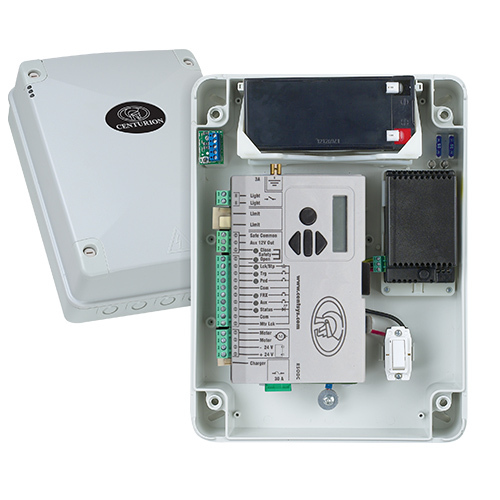 The RSO5DC incorporates an intelligent logic controller complete with user-friendly LCD interface for easy setup. Added to this, two 7Ah batteries provide reliable battery backup, ensuring that the RSO5DC remains in operation even in the event of a lengthy power outage. The controller also makes provision for the connection of ancillary devices such as infrared safety beams, proximity readers and keypads. A 24V battery with rapid charger ensures that come low voltages, power spikes or failures, you can always get in or out! Rapid opening but a more tempered closing just in case a loved one or a truckload full of valuable goods is in the way, that’s the sort of sophistication in motor control you can expect from the RSO5DC industrial roller-shutter operator. Added to this, you can vary the acceleration and deceleration of your roller shutter and make it move so smoothly it will do so for many years to come. What a pleasure to click through an almost endless list of really useful features – from multiple Modes of Operation, shutter operating parameters, Pillar Light control with pre-flash, Alarm functions, Positive Close Mode and Real Time Clock and Calendar to enable time based features – to help diagnostic feedback. Besides its code-hopping technology offering the highest level remote control security, this multichannel and multi-user CENTURION onboard receiver allows for a multi-button remote to operate any combination of the system inputs, such as trigger, Holiday Lockout, etc. The CENTURION Industrial RSO range has been designed to safely automate extremely heavy roller-shutter doors such as entrances to factories and loading bays. Each model is equipped with a heavy-duty electric motor that, coupled with a powerful gearbox , delivers maximum lifting force. In addition, a convenient manual override facility comprising a five metre chain ensures that the door can be operated even in the event of a power failure. A three-button wall pendant allows the operator to not only open and close the door but also safely stop it should an emergency situation arise. The RSO5R3P is a powerful three-phase, 380V operator capable of delivering greater starting thrust than single-phase operators, and also boasts an increased duty cycle. 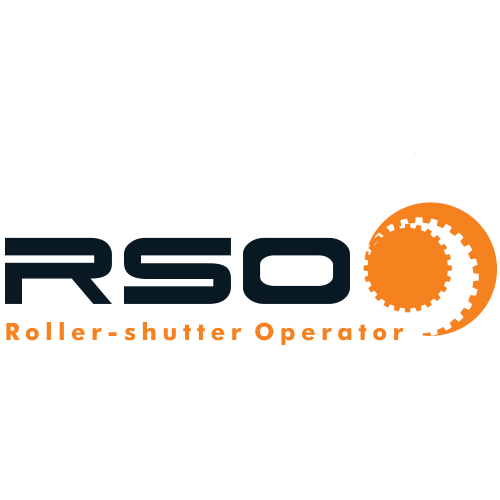 You’ll find the perfect union of simplicity and raw, unadulterated power in the RSO5R3P industrial roller-shutter operator . This three-phase model provides the same reliable automation solution as the RSO5R – but with the added might of 380V behind it! That means an increased duty cycle and higher starting thrust – the RSO5R3P has the OOMPH-factor down to an art! What is strength without reliability? In the unlikely event that something goes wrong, the RSO is committed to keeping you in business, with not one but two modes of manual operation. All RSO models come standard with a five metre hand chain, ensuring that the shutter can be easily operated even from ground level, as well as a manual-release pin inside the gear box that can override the mechanical brake. also safely stop it should an emergency situation arise. Even the baby of the lot, the RSO5R industrial roller-shutter operator, has enough brawn in its gearbox to automate shutters weighing up to 500kg, and makes for powerful, cost-effective industrial automation. The CENTURION Industrial RSO range has been designed to safely automate extremely heavy roller-shutter doors such as entrances to factories and loading bays. Each model is equipped with a heavy-duty electric motor that, coupled with a powerful gearbox, delivers maximum lifting force. In addition, a convenient manual override facility comprising a five metre chain ensures that the door can be operated even in the event of a power failure. 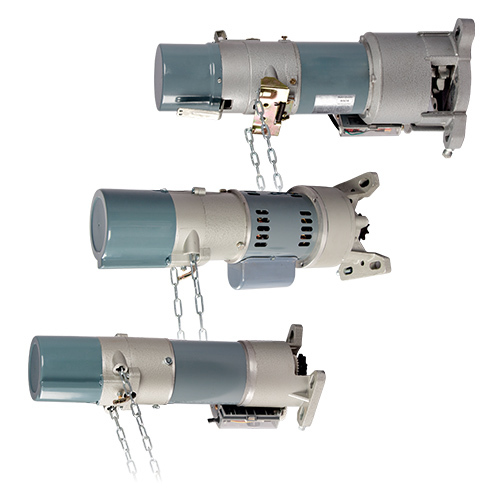 A three-button wall pendant allows the operator to not only open and close the door but also safely stop it should an emergency situation arise. The RSO5RE industrial roller-shutter operator is an endurance model ideal for high-volume applications. 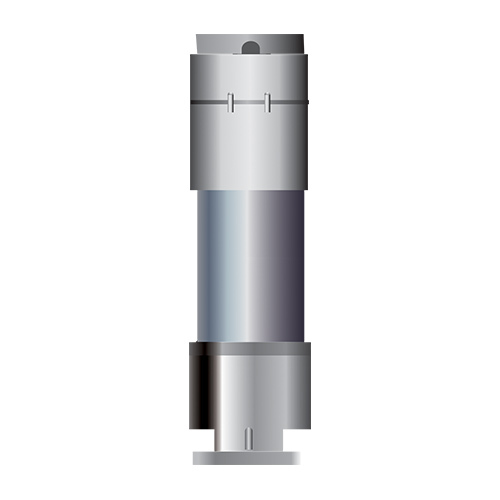 The vastly improved duty cycle and high number of daily operations are made possible by a ventilated planetary gearbox. Take one part gargantuan lifting force and add a never-say-die attitude , mix in a sturdy cast-iron gearbox and what you’ve got is the recipe for the RSO Endurance model, the RSO5RE. With an impressive duty cycle and capable of performing in excess of 400 operations per day thanks to the remarkably durable double-layer planetary gear design, the RSO5RE is the solution for high-volume applications. The CENTURION Industrial RSO range has been designed to safely automate extremely heavy roller-shutter doors such as entrances to factories and loading bays. Each model is equipped with a heavy-duty electric motor that, coupled with a powerful gearbox, delivers maximum lifting force. In addition, a convenient manual override facility comprising a five metre chain ensures that the door can be operated even in the event of a power failure. 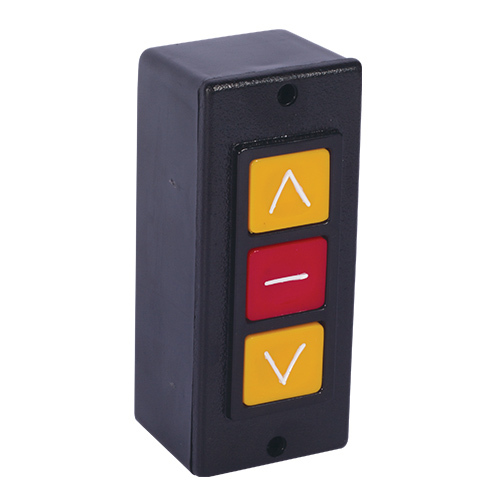 A three-button wall pendant allows the operator to not only open and close the door but also safely stop it should an emergency situation arise. The RSO9 is a heavy duty roller-shutter operator utilising a 380V, three-phase power supply enabling it to lift very heavy roller-shutter doors weighing up to 900 kilograms. With a whopping 550W of power and able to lift roller-shutters weighing up to 900kg, is the RSO9 industrial roller-shutter operator. This beast, which receives an extra dose of power via a three-phase supply, provides all the muscle you need to automate exceptionally heavy shutters such as the entrances to airplane hangars. 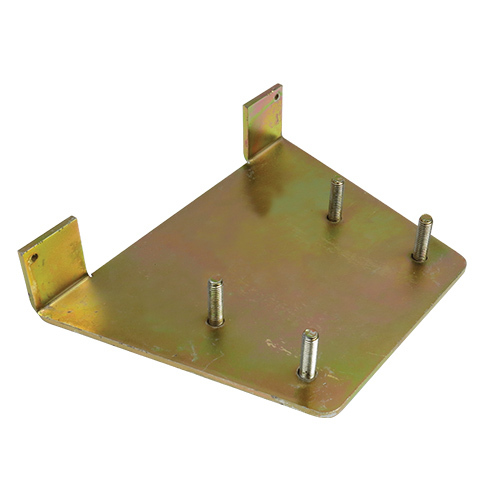 The ‘A’ dimension refers to the minimum amount of space needed to install each operator, i.e. the distance from the side of the shutter box to the first obstruction (e.g. a pillar).